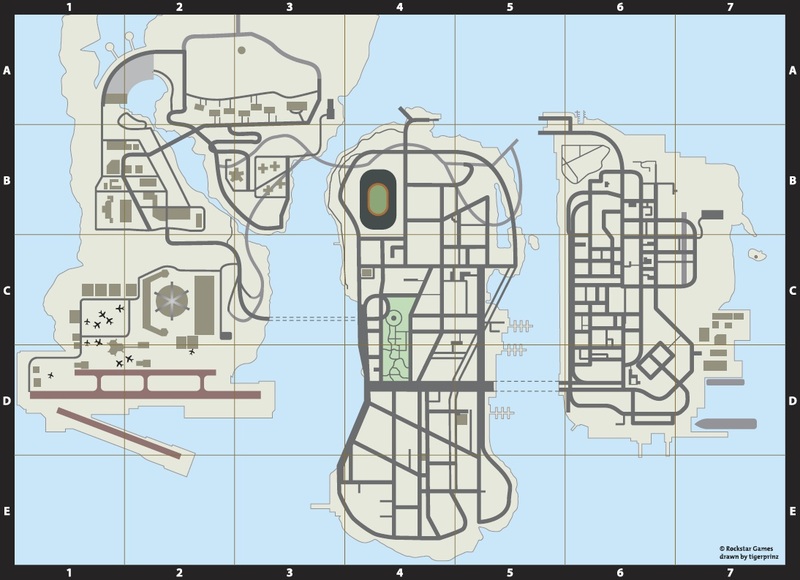 Liberty City Map by tigerprinz. Click to enlarge or click here for a zoomable PDF version. Of course, Liberty City is littered with things to collect, visit and use. chunkubis has created a wealth of maps showing the locations of hidden packages, armour, health, police bribes amongst other things. I've also put up a dedicated hidden packages page to help you understand the benefits of collecting them all.